Important dates (such as the deadline for submitting a report or a piece of homework, or responding to a client) are often included in the information you write down in your OXFORD notebook. Sometimes they get muddled up with other information and are difficult to sort out. 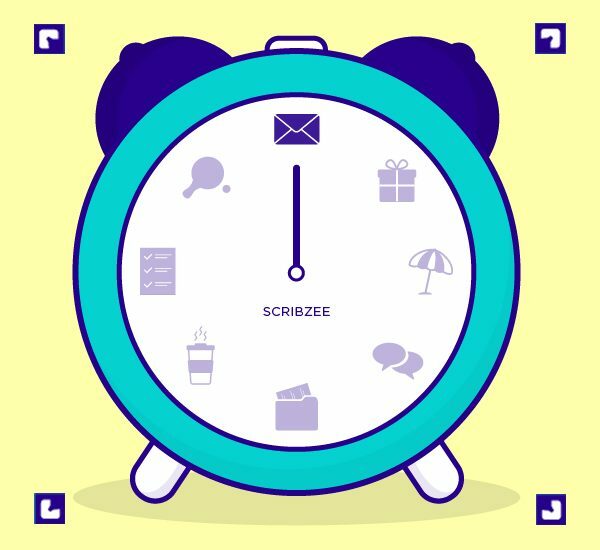 Now SCRIBZEE® can help you keep track of your important deadlines with its new “Alerts” functionality. Start by finding and viewing your note in then open it. Select to create a new alert. Choose the date and time you want for the alert and confirm. Your alert has been saved when changes colour and turns red. You can activate an audible alert and set how long before the event you want to receive it in your settings. Return to the main menu and select to view all your alerts as a list. To browse all your alerts, select then swipe your finger across the screen from right to left. You’ll see the first page of each note that has an alert. Select to access the alerts menu. View the alert by selecting or delete it by selecting . You can also delete an alert from a note by selecting . When the alert is due, you’ll receive a message on the lock screen of your phone and an audible alert if you have set one up. A badge next to the SCRIBZEE® icon will show the number of alerts due .